work 217; Analogue Relic. c. Michael St.Mark 2006. 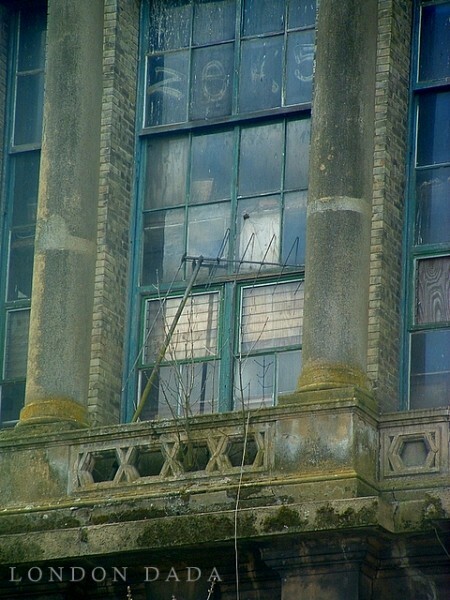 Battered analogue TV aerial leaning against window of burnt-out area of Alexander Palace, N. London, home of the world’s first high definition TV transmission. The irony of the situation within a digital era not lost on eyes blessed with perception of historical perspective.